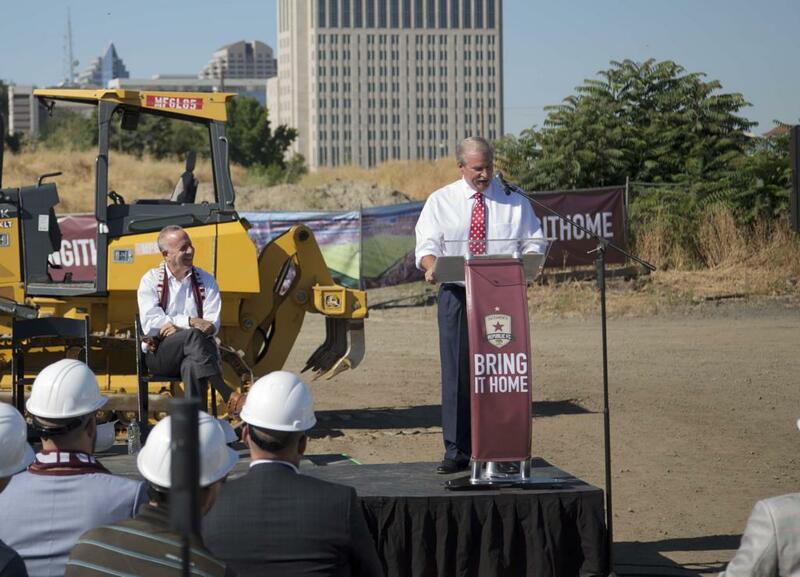 Sacramento Mayor Darrell Steinberg, Sacramento Republic FC Chairman and CEO Kevin Nagle, and more than 100 local business and civic leaders and fans marked a significant step forward for the city’s MLS bid on Thursday by announcing the start of construction activities for Sacramento’s new stadium at The Railyards. Dubbed a “Ground-Making” celebration, the event launches the first of two phases in the MLS stadium construction schedule. In Phase 1, workers will complete site preparation activities, including adding and leveling additional soil onto the site to make it “pad ready” at the right elevation and specifications. Phase 1 will be completed by Spring 2018. Phase 2 will then begin in Spring 2018 with a "groundbreaking” event to launch full-scale construction activities. The current construction schedule calls for the stadium to be complete by February 2020 in time for the opening of the 2020 MLS season. 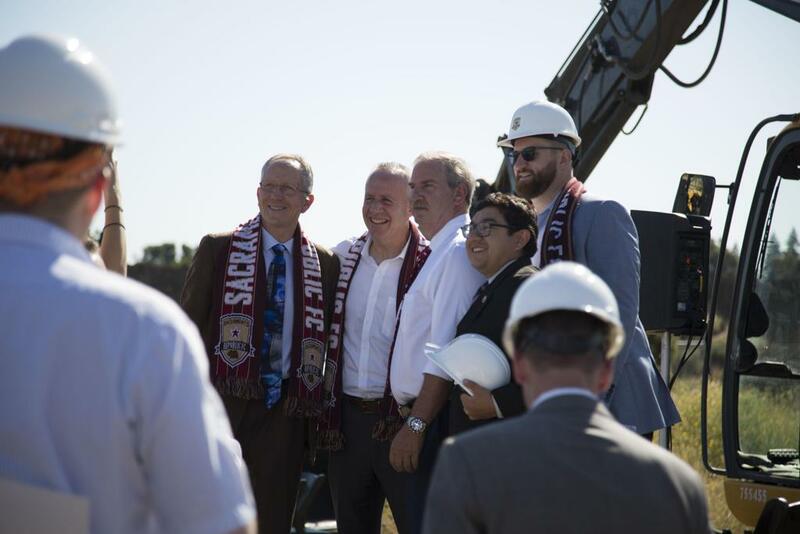 The decision to move forward with the ground-making and Phase 1 construction activities represents the latest commitment by Nagle and Republic FC to move Sacramento’s MLS bid to a winning conclusion. 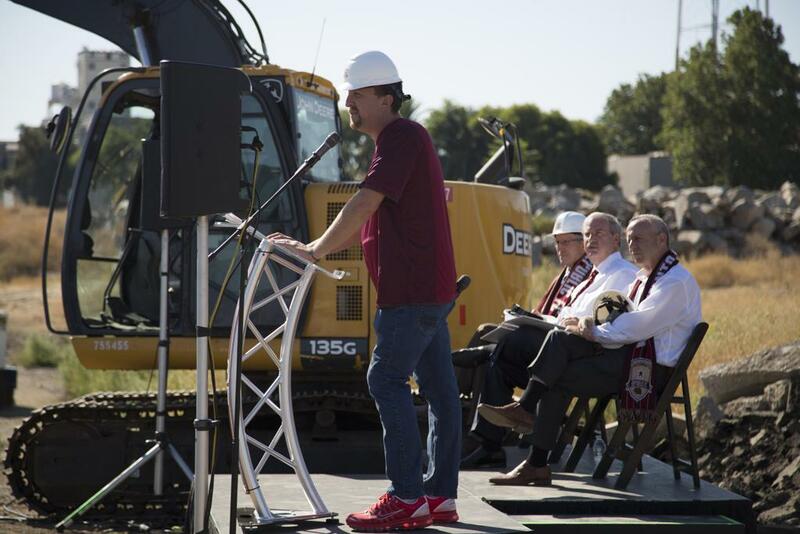 In addition to millions of dollars already invested in stadium predevelopment and the MLS bid, Phase 1 construction reflects an even greater investment by Nagle and Republic FC in the bid prior to the formal award of MLS expansion rights. Current plans call for a $245M, privately-financed soccer-specific stadium that will initially seat 20,000 with the potential to expand overall capacity to 22,000. The 406,000 square foot facility will be situated on a 14.9 acre site between 8th and 10th streets and Railyards Boulevard and North B Street. Located in the heart of downtown Sacramento, the MLS stadium will be located one block from a Regional Transit station, and less than a 10 minute walk from the Golden 1 Center and other downtown attractions. The beginning of stadium construction also represents another significant milestone for the broader redevelopment of The Railyards. Led by Master Developer Larry Kelley, Downtown Railyard Ventures (DRV) is in the early stages of an ambitious $5.3 billion public-private redevelopment plan that will double the size of downtown Sacramento and add as many as 10,000 residential units, and 6.5 million square feet of commercial space. In addition to the MLS stadium, DRV expects to add additional anchor projects, including an 18-acre medical campus. Sacramento is currently one of 12 cities vying for MLS’ next four expansion teams. MLS is expected to announce its next two expansion teams by December 2017.